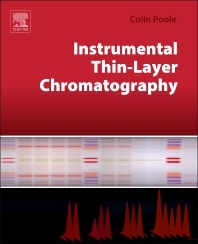 Instrumental Thin-Layer Chromatography delivers comprehensive coverage of this separation tool with particular emphasis on how this tool can be used in advanced laboratories and integrated into problem-solving scenarios. Significant improvements in instrumentation have outpaced the development of information resources that describe the latest state-of-the-art and demonstrate the full capabilities of TLC. This book provides a contemporary picture of the fundamentals and practical applications of TLC at a level suitable for the needs of professional scientists with interests in project management where TLC is a common tool. Compact, highly focused chapters convey essential information that defines modern TLC and how it can be effectively implemented in most areas of laboratory science. Numerous figures and tables provide access to material not normally found in a single source yet are required by working scientists. "...an excellent book covering all fields of TLC...comprises state-of-the-art planar chromatography. I therefore recommend this book to all scientists working in the field of TLC or to those who want to explore planar chromatography."